I wish to offer my warmest congratulations on the opening of Discover Jiangsu 2012 Culture Week. Those familiar with China will know that Jiangsu Province has a developed economy. This part of China contributes hugely to the Chinese national economy. The name of Jiangsu Province gives a clue to its prosperity. For those of you not familiar with Mandarin, the short name for Jiangsu is ‘Su’. This Chinese character denotes lush vegetation and abundant fish and rice. As its name suggests, Jiangsu has been one of the wealthiest provinces in China for many centuries. Since China’s reform and opening-up, Jiangsu Province has been in the vanguard of China’s economic growth. Jiangsu has enjoyed an average annual growth rate of more than 10% for more than three decades. Jiangsu people often proudly say that they have created more than 10% of China’s GDP with only one percent of China’s total land area. On top of impressive economic achievements, Jiangsu also takes pride in its long history and rich culture. This part of China is one of the cradles of the Chinese civilisation. It produced a myriad of great people in the Chinese history. The capital city of Jiangsu Province is Nanjing. This city of Nanjing served as capital of six Chinese dynasties. Like River Thames in London, the Qinhuai River running through Nanjing witnessed numerous major historical events. · ‘Pingtan’ which means storytelling and singing in the Suzhou dialect. · Then there is the ‘Kunqu Opera’. This is known as a living fossil of Chinese theatrical art. · You will be able to see ‘Yunjin Brocade’. · Also, you can enjoy the ancient musical instrument of ‘Guqin’. · There will be paper cutting, the scriptural press and puppet plays. All these are examples of a very rich cultural heritage with roots that reach back thousands of years. Their lustre and charm never diminish – even after thousands of years! In recent years, Jiangsu Province has invested a lot of effort into the ‘Discover Jiangsu’ cultural programme. 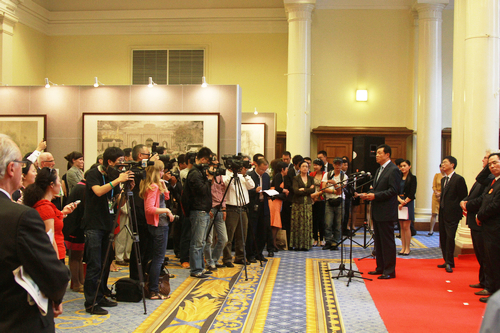 ‘Discover Jiangsu’ is composed of exhibitions, performances, press briefings and seminars. 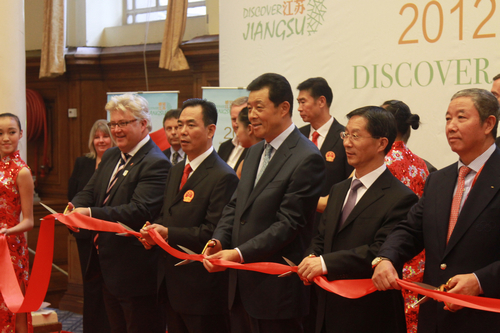 ‘Discover Jiangsu’ has traveled to more than 40 cities in over 20 countries. Such activities have introduced to people around the world the province of Jiangsu and the finest of Chinese culture and arts it represents. 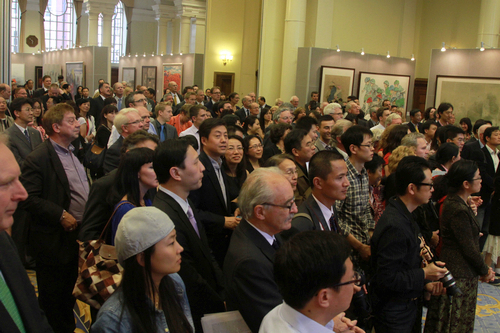 Concurrent with the Thirtieth Olympiad, ‘Discover Jiangsu’ has arrived in the Central Hall, Westminster. It invites us to a cultural feast. · An exhibition of works by young Chinese painters. · A show of Nanjing’s intangible cultural heritage. · A display of Chinese treasures and cultural performance. 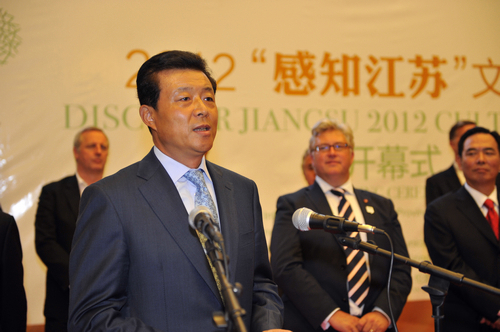 · And ‘Discover Jiangsu’ will also promote the 2014 Youth Olympic Games. Overall, I have no doubt that ‘Discover Jiangsu’ will offer visitors new and multiple perspectives of this wonderful part of China. In conclusion, I wish ‘Discover Jiangsu 2012 Culture Week’ a great success! I also wish all of you a truly enjoyable cultural night!